File photo Harness Racing will take place 6:30 p.m. Wednesday, Aug. 1 and 6:30 p.m. Thursday, Aug. 2 at the Greene County Fairgrounds. XENIA — When most people take a vacation, they go as far away as possible from their daily jobs. But when your job doesn’t feel like a job, why go away from it? That’s how Roger Huston sees his “job” as harness racing’s top announcer. “Everything I do is good. I enjoy it all,” Huston said July 12 from his Pennsylvania home on a rare off day. “… I’ve had the opportunity to love what I do. If you love what you do, that’s half your life right there. Maybe three quarters of your life. But from the get-go, everything about announcing harness racing has just fit into my lifestyle. “I don’t play golf, or have any other hobbies or anything like that. When I go to Xenia, that’s my vacation,” he said. Huston will spend Wednesday and Thursday, Aug. 1-2 announcing the horse races at the Greene County Fair, then he’ll use up some more vacation days in order to spend time in Dublin, Ireland to announce a series of major European harness races there. Last year, Xenia’s Dan Noble competed in the Ireland event. By his own count, Huston has announced races in 17 states, 138 race tracks and in seven countries. Through mid-September, he’ll work races at 16 different race tracks. His “regular job” is spent announcing the races at The Meadows casino, racetrack and hotel in Washington, Penn. “You couldn’t do this if you didn’t love it, ” Huston said. “I do 3,000 races a year, and work probably 275-300 days a year. I’m 75 years old, but I don’t see myself slowing down any time soon. My uncle Don taught me how to do this, and he was a race announcer until he was 82. I can see myself doing this until I’m 83, 84 maybe 85. I love what I’m doing. This doesn’t feel like a job, to me. “The traveling is sometimes tough. The other day, I had to drive 6-7 hours to Goshen, N.Y. to do a race. You feel all stiff and sore from the ride. And you get sore knees and stiff joints when you’re this age, but as long as I’m in good shape from the waist up, I’ll be doing this for a while,” he said. His uncle, Don Huston, first trained him on how to announce the harness races. 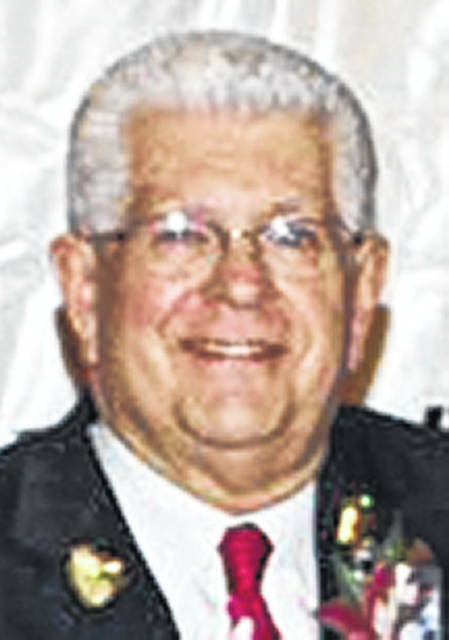 Roger, who was born in Xenia and graduated from Xenia High School in 1960, got his start at Lebanon Raceway. He soon started taking on more announcing jobs as he gained experience. Huston has announced more horse races than any other man on the planet. He’s at 177,000 races and counting. He’s the race announcer for the annual Little Brown Jug horse race, which is the crown jewel of the harness racing world. He’s called every Jug event since 1968, but on race day at any track during the year, he calls that evening’s race as if he’s calling the biggest race in the world. Racing at the Greene County Fair is scheduled to start 6:30 p.m. Aug. 1 and 2. The racing culminates with the Chip Noble Memorial Pace, which carries a $9,000 purse. 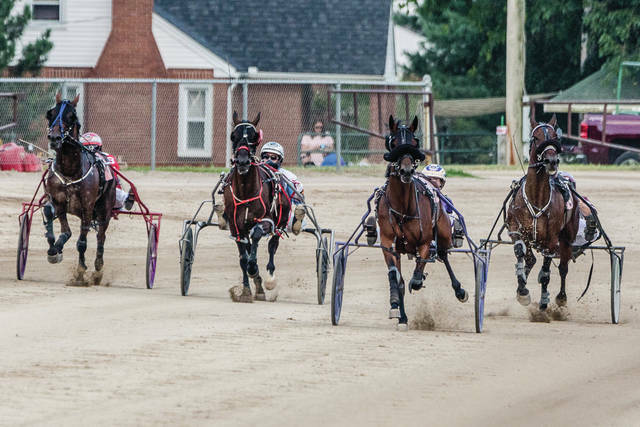 https://www.fairborndailyherald.com/wp-content/uploads/sites/50/2018/07/web1_Harness1-1.jpgFile photo Harness Racing will take place 6:30 p.m. Wednesday, Aug. 1 and 6:30 p.m. Thursday, Aug. 2 at the Greene County Fairgrounds.